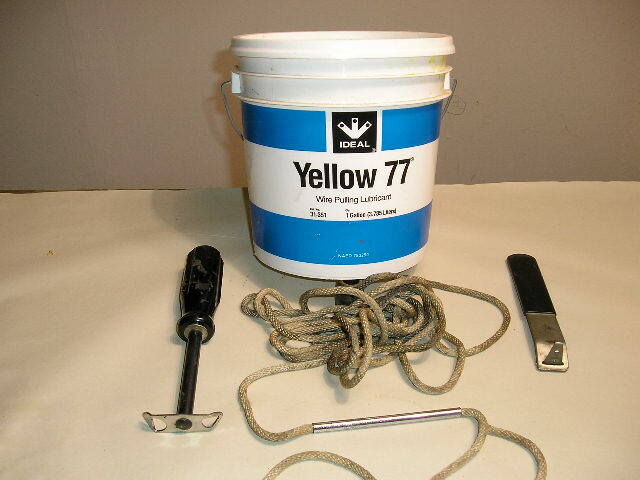 Step2; If the rubber shows no trace of cracking, and is not glued down, insert a small screw driver, without scratching the paint, lift up to test for rubber softness and stretch. If your car is a beater like mine and the rubber is soft you can save it by pushing it out from inside the car. Using two very worn screw drivers pull the inner lip of the seal down at the top and push it forward past edge of the car body. Holding that tiny bit of seal past the metal edge, push out another ¼ inch with another worn screw driver. Repeat several times working the top out evenly. Go around both corners and down both sides evenly. Tilt forward and rock until the assembly can be lifted away. You’ll probably need to make the screw drivers because they need to have round corners and no sharp edges. If they still work for screws, they’re too sharp. Please do not scratch paint or tear headliners. Step2; Insert utility knife between glass and seal, cut to the lock strip at the top and both sides. Cut til inner rubber and lock strip fall away. You'll then see the edge of glass. Push glass out from inside. Step 3; Clean under seal area without scratching paint. Attach headliner, if loose, with contact cement such as wurth rubber glue. Step1; With the glass face down on a soft bench, stretch the rubber over the glass. Turn over and install the lock strip. Leave the ends of the lock strip protruding from the center of the bottom of the seal. Step2; Insert rope so it exits from the center of the bottom of seal. Bundle the excess ends and tape them to the inside of glass. Tape the top of seal to glass with two strips 2 feet apart. Lube the rear most lip of the seal both inside and out. Step3; Put glass/seal assembly in place using a volunteer, if you must, then send your helpers home. Step to the front of the car and see that the lower corners are centered. Step4; Standing in the doorway, push down on the upper part of assembly with one hand while pulling rope with the other. Pull rope 10”-12” and repeat from the other side. Step to front of car and see that the lower corners are centered. Use the same technique to pull another 12” on each side and check for centering from front of car. While pushing down firmly on top, rope in the lower corners and check for centering from front of car. Step5; You are now finished pushing and will slap the glass into place with glancing blows in the direction you want the glass to move (mostly down). In the end you will have a pleasant little tingle in both palms and all fingers. Standing in front of the open door, slap the glass in with one hand while pulling the rope half way up one side with the other. Repeat from the other side. The lower corners should now look normal from the front of car, and the seal must look seated at the dash as seen from inside the car. If it looks wrong at the dash or if the lower corners are not perfectly centered, start over. Step6; Remove the tape from the top. Slap and rope in one upper corner. The lower portion, and one side of the seal should now look normal from inside the car. Slap and pull in the rest of the seal. See that the inside lip of seal looks normal, and that the outside of upper corners are not bulging. If there is bulging, or the inner lip is not seated completely, start over, making sure you start by fully seating and centering the bottom of the seal. Step7; Cut the lock strip and install the joint cover. Leave plenty of lock strip under the cover to allow for shrinkage. Pic #137; Worlds most convenient contact adhesive. Pic #138; I use wire pulling lube. The tool on the left is a lock strip installer purchased when I thought the strip was installed last. It hasn’t been used since 1984. At the center is my nylon rope with section of radio antennae for easy installation. It allows you to push the rope in very quickly. The tool at the right is a wiper remover. ditch the screwdrivers- find something plastic or nylon instead. Otherwise, this post is FAQworthy! Step3; Insert utility knife between glass and seal, cut to the lock strip at the top and both sides. Push glass out from inside. Step 4; Clean under seal area without scratching paint. Attach headliner, if loose, with contact cement such as wurth rubber glue. Step5; You are now finished pushing and will slap the glass into place with glancing blows in the direction you want the glass to move (mostly down). In the end you will have a pleasant little tingle in both palms and all fingers. Standing in front of the open door, slap the glass in with one hand while pulling the rope half way up one side with the other. Repeat from the other side. The lower corners should now look normal from the front of car, and the seal must look seated at the dash as seen from inside the car. If it looks wrong at the dash or if the lower corners are not perfectly centered, start over. Remove the tape from the top. Step6; Slap and rope in one upper corner. The lower portion, and one side of the seal should now look normal from inside the car. Slap and pull in the rest of the seal. See that the inside lip of seal looks normal, and that the outside of upper corners are not bulging. If there is bulging, or the inner lip is not seated completely, start over, making sure you start by fully seating and centering the bottom of the seal. 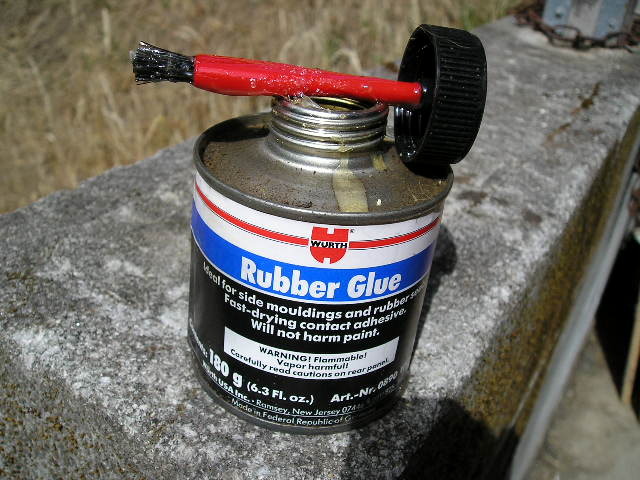 I use wire pulling lube. The tool on the left is a lock strip installer purchased when I thought the strip was installed last. It hasn’t been used since 1984. At the center is my nylon rope with section of radio antennae for easy installation. It allows you to push the rope in very quickly. 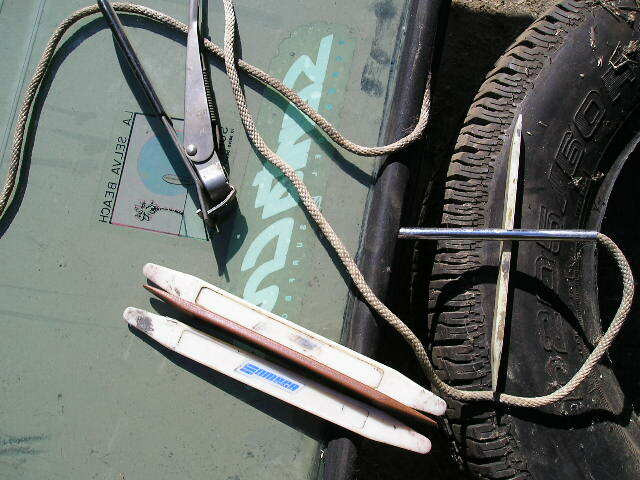 The tool at the right is a wiper remover. thanks guys!! i will FAQ-ize it later unless _Z_ beats me to it... l;) i will also continue to ask/beg/plead for MORE pics (duke got any of the way you did the rope on the gasket?) of this and other projects!! The hard plastic tool Toby refers to is called a bone by those who use them. They have a place in my tool box, but I prefer screw drivers because the handles make them easier to use. If your screwdrivers are capable of scratching glass, or driving screws, they’re too sharp. The rope installing tube is held at a right angle to the seal and dragged inside around the circumference. The rope slips through the tube and is installed in less than ten seconds if you’re very slow, under three if you hurry. 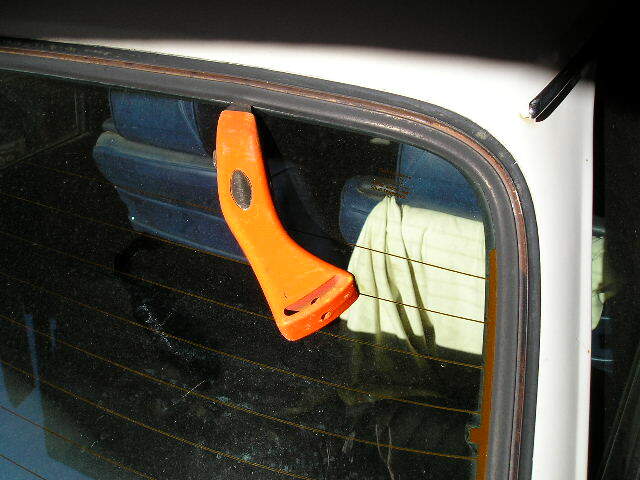 The wiper remover relieves spring tension so the wiper lifts off easily. Are there any special tricks for getting the glass back into position after you get the bottom part of the seal on? The problem I've been running into is that once it's on around the bottom and sides, the top part of the seal just BARELY gets around the lip of the car, and when I get to the last upper corner the gap is just too wide to get it on. It looked pretty wrong so I tried starting over, but after reading the faq I'm thinking there is some stage where I ought to be really pushing/hitting it more aggressively into place. Whoever wrote this really wasn't kidding! The "glancing blows" to hit the glass down (and a bit to the side) really did the trick! I didn't see anyone doing this in the videos but it was IMPOSSIBLE for us without this! So don't be afraid to hit it HARD; just avoid constant direct pressure in any one spot and you'll be fine (I think)! WOW awesome videos. Do you know what kind of tool he was using in the end to put in that metal wire stuff ? No glue needed? just pressurefit rubber for the front shield?!? OK... so I gave my window guy all the stuff needed but he forgot to put the lock strip in the gasket. The front and rear window and gaskets are in without the lockstrip. I'm trying to put the lockstrip in now after the fact... what's the best way of doing this? For those who don't live in a warm climate... after you do the rope-trick, take a hair-dryer to the exterior of the gasket. It softens it enough to allow the gasket to give & work into place. Amazing what a diff it makes.